On the Dashboard, and in the API, administrators are able to define custom metadata fields for and advanced tagging and categorization of channels and videos. Content admins can populate these fields with values for each piece of content individually. There are multiple types of fields: string, number, tag list, multiple choice, boolean, link, date, and a grouped combination of these. 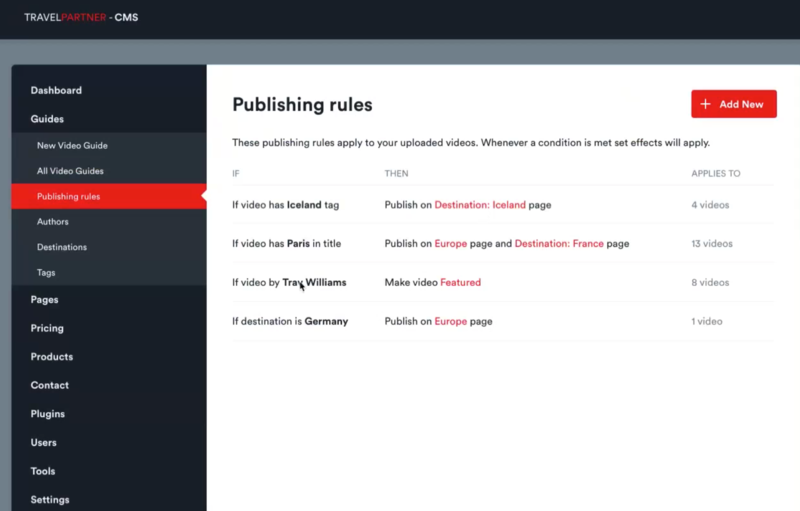 Fields can be required, and required fields are part of the video publishing flow. Field values can be displayed for viewers, and content with similar metadata fields can be linked for improved search and discoverability. In order to set metadata for either your individual channels or videos, first go to your Dashboard then select Integrations & Apps then Custom metadata. At the top, there are two types of metadata displays can be applied- video metadata and channel metadata. 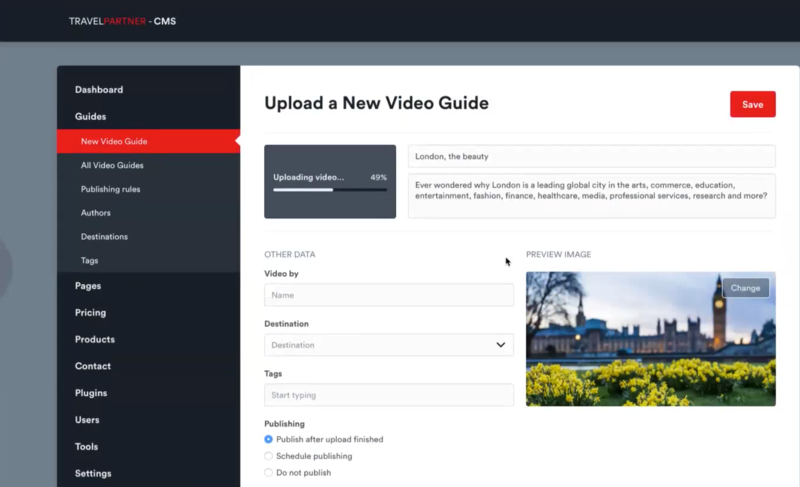 Video metadata: using this option, you can add custom metadata to your videos to help you organize your content and improve discoverability for the viewers. 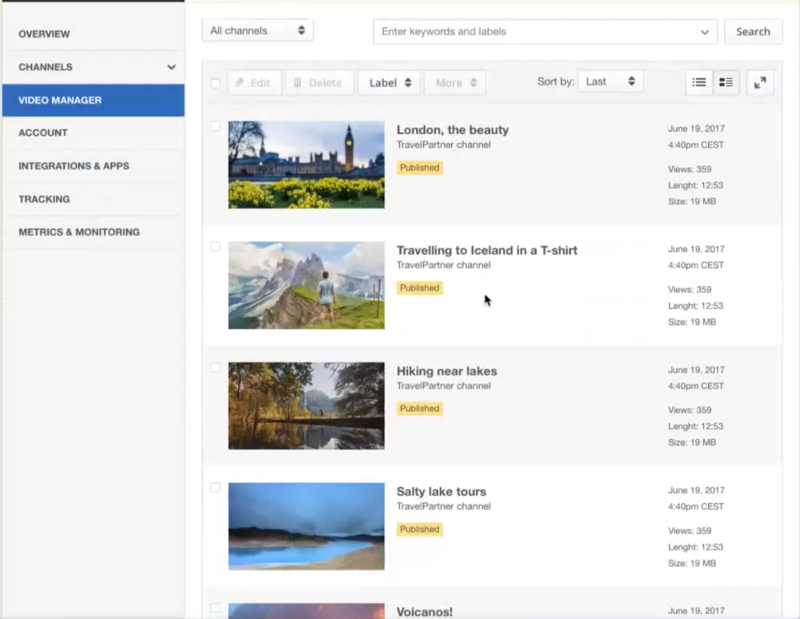 Channel metadata: using this option, you can customize your channels and improve content discoverability by adding custom data fields to the channel itself. The metadata structure you define here is global, so channel type metadata fields will be tied to all of your channels, video types will apply to all of your videos. By adding a custom data field, you can select from the following types of data. The field name will appear in API calls, and should be a shorthand identifier for this field. This will appear in parenthesis next to the field, and can be useful for example if you want to keep variable names consistent between our video platform and an integrated 3rd party. The display name will appear in bold. The description will be shown below the field to provide more information. You can include links into descriptions, so people who are filling out the metadata values can click through for more info. For building a long list of predefined values for the multiple choice field, you can use the “insert many” function in the editor. Also for multiple choice there is a setting that enables selecting more than one option, when filling out the metadata fields. 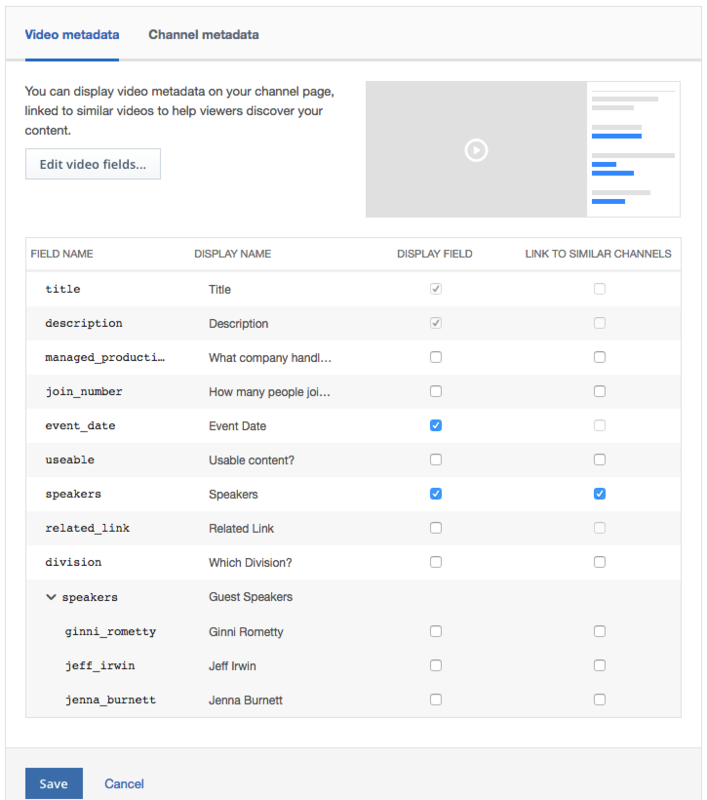 For video metadata, each field will have the option to make field required and will require that specific field to be filled out before the video can be Published to be viewed. When setting up metadata structure, you can also define an order to the fields. The order will affect how the metadata fields are displayed for viewers, and on other admin dashboard interfaces, like the video manager. Customize your channel page with the custom metadata for either your channels or videos by displaying the data on your IBM Watson Media channel page. To do this, click on your channel, then select Channel page. Then click Settings next to Displaying metadata. Then, select which fields you would like to be displayed on your Channel page. In the above example, we have selected event_date and speakers. Once the Save button is pressed, the changes will be immediately applied to the channel page (see below). 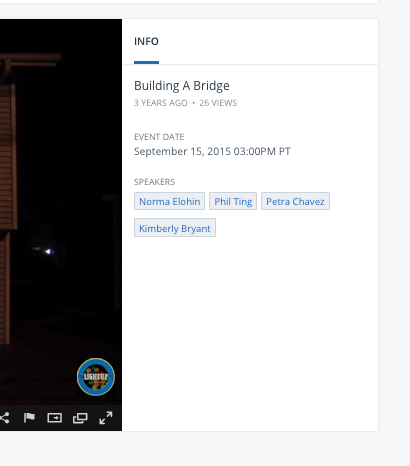 Notice the video titled “Building A Bridge” has the event date displayed, as well as the speakers who were tagged in the fields for this video. Metadata is relatable across all your content. 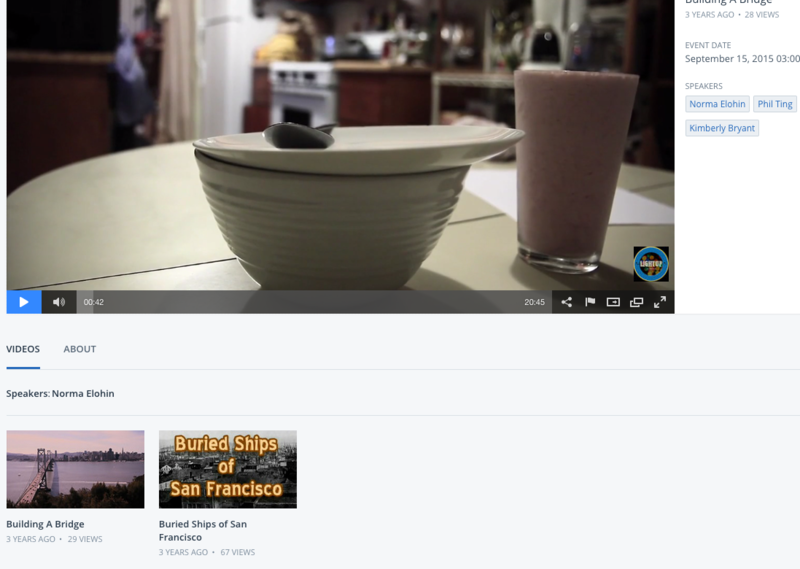 We have added the name “Norma Elohin” to the speakers field under the custom metadata for a video titled “Buried Ships of San Francisco. Clicking on the name “Norma Elohin” will now surface all of the videos that metadata tag is found in. This behavior can also be controlled, when you set up displaying metadata, with the “link to similar” option. With the field names using the API, it’s possible to retrieve, deploy, create or update customized information into your own 3rd party sites or content management systems. 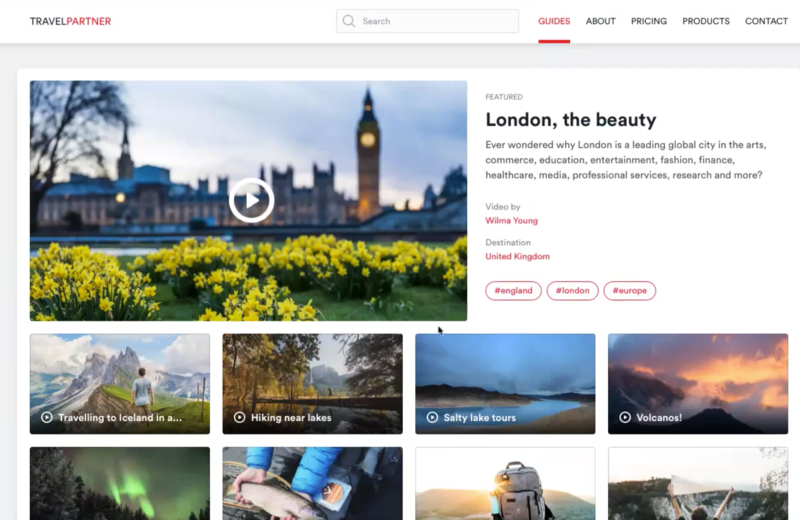 In the following example, we have created a custom concept for a travel website where an administrator would host videos and metadata on the IBM Watson Media account and manage these assets from the Dashboard. We’ve created a repository of videos in the Dashboard, each with their own thumbnail image, titles and appropriate metadata. After applying the appropriate information inside of IBM Watson Media, you’ll need to implement uploading and video management interface on top of the API. This way, you can apply your existing workflow to video management as well. Doing this will allow you to manage all of your videos and metadata from inside of your CMS as opposed to the IBM Watson Media Dashboard. 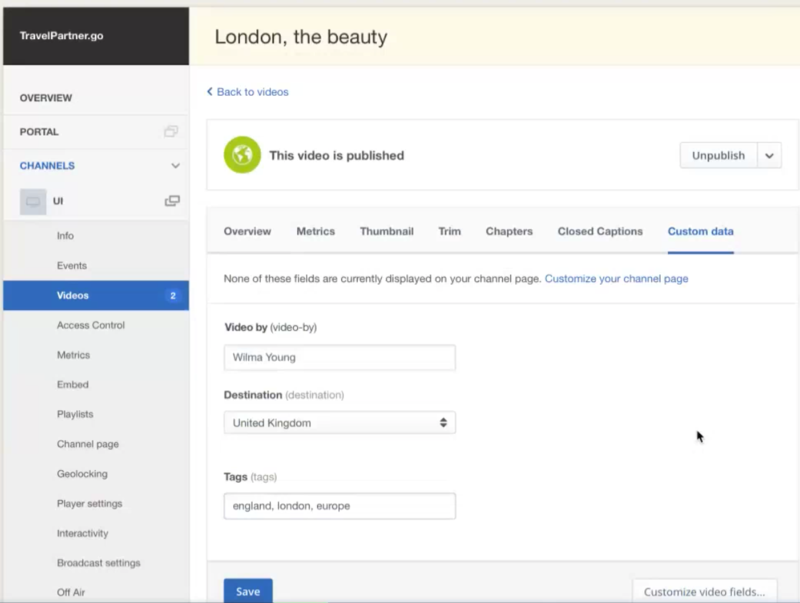 As you can see from the example CMS, users can upload videos, change video titles and descriptions and finally specify other data from inside the CMS. It’s also possible to set up specific publishing groups which can be based on metadata if a video has been tagged appropriately. For example, the first option below states if a video has an Iceland tag, the video will be published on the Destination: Iceland page. Once the data has been applied to the CMS using the API, viewers/customers will see video listing pages with the actual published videos. All of the metadata can also be surfaced here as well.